With women expected to live up to a decade longer than men, it's crucial for them to begin saving as early as possible to make the most of compound interest, says Citadel Advisory Partner Anelisa Mti. And with rising food and utility prices placing increasing pressure on consumers' pockets, savings can take a knock – particularly for young people who are either starting out their careers or struggling to find work. But Mti warns that not prioritising savings early can make it hard to play catch-up later. "The good news, however, is that by getting used to looking after your finances now, you could potentially add millions to your retirement nest egg by taking advantage of the benefits of time and compound interest on your investments." Mti offers five tips for young women to maximise their savings over their lifetime. Your first and most important financial step is to create a detailed budget that will help you to understand how much you are spending, and where you can begin saving, says Mti. Begin by noting your actual salary after tax, and then create a detailed list of your expenses, including rent, utilities, groceries, cellphone bill and travel expenses. Even better: jot down an estimate the first time, which you review at month end based on what you actually spent. Next, continue your savings journey by putting some money aside in a separate savings or call account for rainy days. Aim to put away at least three to six months’ income in an emergency fund that you can easily access without having to pay on credit when faced with big expenses such as a sick pet, burst tyres or new smartphone. This will help you to save money on interest repayments should the unexpected happen. Many want to treat themselves when they start earning, but avoid the temptation, says Mti. Don't overspend or take on excessive debt – especially on an asset that will lose its value over time. If you minimise your car repayments, you can rather make a larger deposit on a meaningful asset like a home later, or save for your long-term wealth. Excessive debt will stop you reaching your savings potential, and if the interest charged on your debt is higher than you would be earning on an investment, you'll be saving more by paying your debt back faster. Prioritise the debts that are most expensive, such as store cards or credit cards, first. Reach financial goals by investing, says Mti. 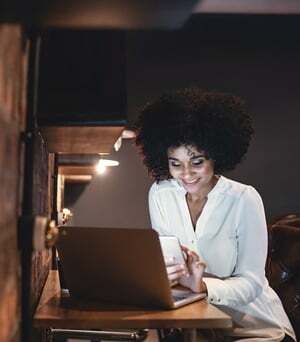 "Many women in their twenties prefer a more discretionary investment vehicle such as a tax-free savings account or unit trust for medium to long-term goals such as a deposit on a home or child’s education," she explains. "Meanwhile, contributions towards retirement savings vehicles such as retirement annuities offer the benefit of being tax deductible, lessening the amount of tax paid on your income." But, she warns, you'll face a heavy tax penalty if you withdraw these savings early. Also choose underlying assets carefully, i.e. how much to invest in equities, property, bonds or cash-related instruments, depending on your appetite for risk. Consult a qualified financial adviser, she suggests.